Commitment for 2019 - CHF34m. Switzerland’s humanitarian commitment aims at saving lives and alleviating suffering where this is necessary and on the basis of the greatest needs. The Swiss Agency for Development and Cooperation (SDC) focuses its humanitarian activities on the most vulnerable people affected by crises, in line with leave no one behind. Typically, the people left behind are those hit the hardest when natural disaster strikes or a conflict evolves. 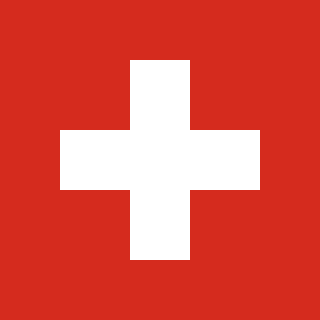 The principles of humanitarian action (humanity, neutrality, impartiality and independence) are at the core of Switzerland’s assistance to and protection for people most in need, including advocating for compliance with the International Humanitarian Law, which provides for access of humanitarian actors to the affected population. In addressing global hunger and food security challenges, Switzerland takes a holistic approach by combining humanitarian aid, development cooperation, multilateral instruments, and diplomatic measures as well as peace-building approaches whenever feasible. This is best evidenced in the various Swiss cooperation strategies. Swiss food assistance is always complemented by efforts to fight the root causes of hunger. In order to ensure effectiveness of its humanitarian action, Switzerland acts as a donor, as an advocate but also implements projects directly, through the experts from the Swiss Humanitarian Aid Unit (SHA). The SHA is a roster of around 700 people who can be deployed abroad at short notice. Most of its members carry out Switzerland’s humanitarian aid projects; others are seconded to UN agencies, and other partners, making its unique know-how available to partner organizations. This can be done in an emergency phase but also in the mid-term. Besides its strong emphasis on protection and food assistance, Switzerland promotes innovations through agricultural research, the integration of small scale farmers into agricultural value chains, and new disaster risk/resilience management tools. These include the CEDRIG guidance (www.cedrig.org) developed by Switzerland or the African Risk Capacity, drought risk insurances for entire countries set up by the World Food Programme (WFP) and the African Union. Switzerland is also committed to making humanitarian action as local as possible and acts as the Co-Chair of the localization work stream of the Grand Bargain together with the International Federation of the Red Cross and Red Crescent Societies (IFRC). Cash Transfer Programming (CTP) is an increasingly recognized transfer modality for humanitarian assistance. Switzerland was a pioneer of the CTP approach with pilots as early as in the 1990s and continues to advocate for scalingâ€“up this type of assistance, including for food security. It also uses its influence to promote qualitative programming in this area; Switzerland was actively involved in policy dialogue and endorsed the “Common Donor Approach for humanitarian cash programming” in February 2019; it refers to the principles build on commitments made through the Grand Bargain and sets out a shared vision for the use of cash in humanitarian action (http://www.cashlearning.org/). It is very active in platforms like the Grand Bargain and the Good Humanitarian Donorship (GHD) cash work streams. More generally, as a member and currently co-chair of the GHD Switzerland provides a sizeable part of its humanitarian funding through un-earmarked or very softly earmarked financial contributions to its main partners (WFP, UNHCR, UNWRA, OCHA, ICRC). As a member of the Food Assistance Convention (FAC), Switzerland is committed to contributing global food security, and to improving the ability of the international community to respond to emergency food situations In January 2019, Switzerland has taken over the Chairmanship of the Food Assistance Committee of the FAC for one year. Aligned with the committee’s semi-annual statutory meetings, Switzerland plans for two seminars in June and November 2019.